In Phase 1, to design a new brand of Turkish coffee. From the name to identity formation. In Phase 2, to design packaging of coffee and at the end design communication campaign. 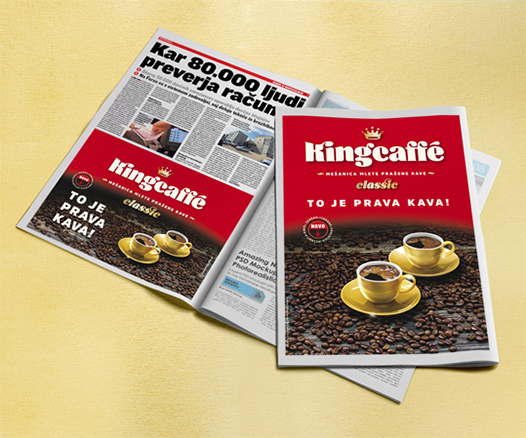 To design a new brand of coffee which can in a quality manner compete with the largest producer of coffee in the Slovenian market. 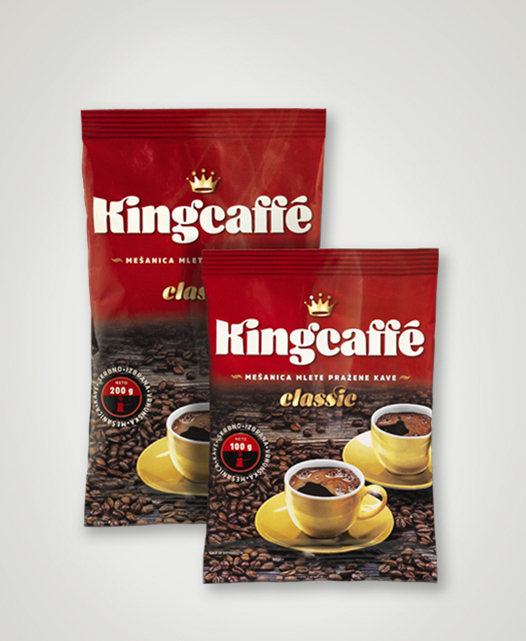 The name Kingcaffe is chosen as we want to position the coffee high because it is a perfect blend of coffee and consequently a superior product. The packaging is designed in the manner that is close and recognisable to typical Slovenian buyer and gives them clear information that it is about classical Turkish coffee and not the product which the customers can mistaken for instant coffee or some other similar products. 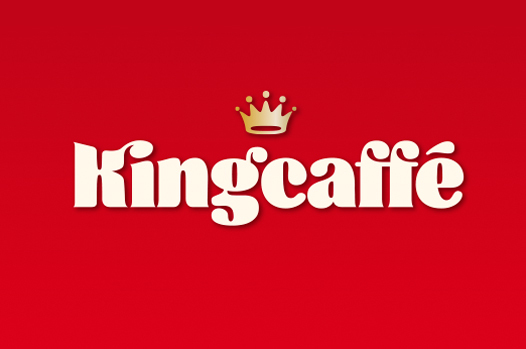 Kingcaffe is presented in the advertising campaign, the "ambassador" of which is the actor Sebastijan Cavazza who with his charm and witty story about his coffee preparation method and the method of his neighbours presents the product to the typical consumer of Turkish coffee.